Check Point X Series Appliances provide organizations with the ultimate choice in carrier-grade chassis. The X Series platform delivers integrated software and hardware solutions that are customized to customers' demanding security needs-all while maintaining the highest network performance required. The Check Point Software Blade architecture supports a complete and increasing selection of Software Blades, each delivering a modular security gateway or security management function. As Software Blades are modular and flexible, they enable organizations to efficiently and quickly tailor security application functionality to specific and changing security needs. New software blades are easily added and licensed as needed without the addition of new hardware. Simplify datacenter complexity through the consolidation of numerous, disparate appliances onto a single X-Series system. Deliver an extensible solution that readily adapts to the ever-changing security demands on business. Achieve unsurpassed reliability and stability of critical communications that meet tomorrow's growing business uptime demands. Improve operational efficiency while reducing the management and maintenance demands and costs within datacenter environments. Protect business critical assets while maintaining the highest network performance. In support of simplifying the customer experience, Blue Coat has expanded its relationship with Check Point to directly sell the X-Series product line when deploying Check Point software. Customers now have a single, trusted partner for sales, application integration and support. The Check Point X-Series Platform is available to organizations worldwide starting in 2014. The X-Series platform coupled with the Check Point Security Gateway provides unsurpassed performance for today's best-of-breed security software applications. Whether deployed as a Check Point only solution or utilized with other security applications provided by different Partners, the X-Series platform delivers unmatched consolidation, adaptability, availability and operational efficiency. Blue Coat and Check Point reduce complexity by consolidating firewall appliances with associated networking equipment into one adaptable platform. Up to 100 network and firewall devices can be consolidated within one X-Series platform, reducing time, operating costs, energy consumption, and complexity. 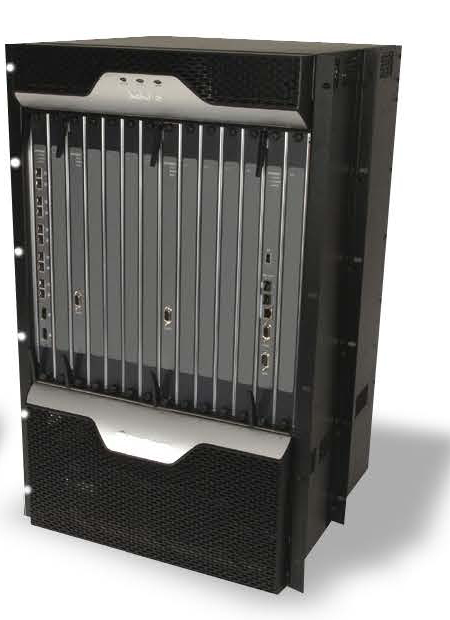 Coping with more than 100 million concurrent firewall sessions, 600,000+ new stateful connections per second, and a realworld firewall throughput of 140Gbps, the X-Series delivers the performance needed by the most demanding environments. Many organizations do not have a clear view of what changes will occur in the future regarding performance or security requirements. The only thing that is certain is there will be change. The X-Series platform enables Check Point application acceleration, virtualization and optimization to better meet the growing demands of today's businesses, without having to re-architect the physical network. Whether deployed as a Check Point- only security application platform or as a multiple-application platform comprised of Check Point and other complementary Blue Coat Partner technologies, the end result is a powerful, reliable, high-performance solution that readily adapts to the organization's security needs. 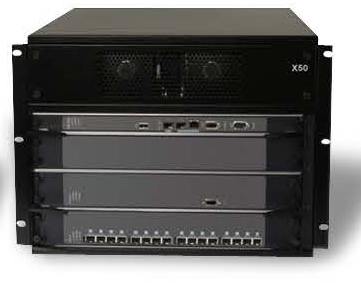 This flexibility assures that the X-Series platform will continue supporting their business needs for many years to come. The uptime demands on the network have never been higher and gone are the days when scheduled downtime was acceptable. Many many organizations strive for zero-downtime network environments. The X-Series solution provides adaptive self-healing through patented technology, which uses dynamic back-up modules or prioritization to assure key security applications remain functioning at full capacity if a module becomes unavailable. The X-Series combines superior networking, exceptional processing, and an open application architecture, to eliminate network and firewall outages. IT organizations are tasked to do more with less. The X-Series solution minimizes the number of devices required to secure today's fastest, most demanding networks by reducing the number of Layer 2 switches, load balancers, patch panels, cabling and power. 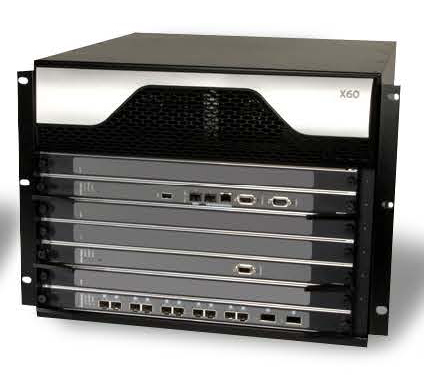 The X-Series management capabilities streamline configuration and provide visibility into the entire solution; from individual chassis, to specific modules, to traffic flows and applications. This readily provides organizations with the appropriate information needed to effectively and quickly make decisions about maintaining their security infrastructure and protecting their business. Overall, the X-Series platform enables IT organizations to secure and run their businesses more proficiently with lower CapEx and OpEx costs.